The following “2019 New Year Message” was addressed to all officers and employees by President & CEO Junichiro Ikeda. I’d like to open this message by wishing everyone a peaceful year to come. 2019, the new year, also happens to be the last year of the Heisei period of the traditional Japanese calendar. First, I’d like to share with you some thoughts I had over the New Year’s holidays. In hindsight, there were so many things that happened last year. For me, one of the most memorable moments was when the Secretary of Transportation of the Philippines praised MOL for opening a new maritime academy in the country by noting that “the maritime academy is a gift to the people of the Philippines.” MOL inaugurated the academy for the primary purpose of recruiting and training talented seafarers. However, the opening of the academy carries greater significance for the Philippines. It will contribute to the development of the country as a whole by providing training opportunities to the Filipino people. I realized that was what the Secretary alluded to when he offered his remarks. Recently, there have been a lot of steps taken to realize a sustainable society as well as to achieve the Sustainable Development Goals (SDGs). The international community is reexamining the fundamental purpose of companies in society. People are looking to companies to help solve serious social issues such as poverty, armed conflict, and climate change. Education is a critically important field that has a significant bearing on the future of a country. In the field of education, MOL is recruiting and training talented seafarers in tandem with contributing to the sustainable development of the Philippines. I had the following thought over the New Year’s holidays-I wanted to bring up this example for all of us to think about how we can better contribute to the sustainable development of society through our global shipping business. Last year, Japan suffered a string of major natural disasters, including earthquakes, typhoons and heavy rains. I’d like to express my heartfelt sympathies to the people and regions affected by those disasters and my hopes for the speediest possible recovery. The MOL Group’s shipping operations and infrastructure were also hit hard by those disasters. 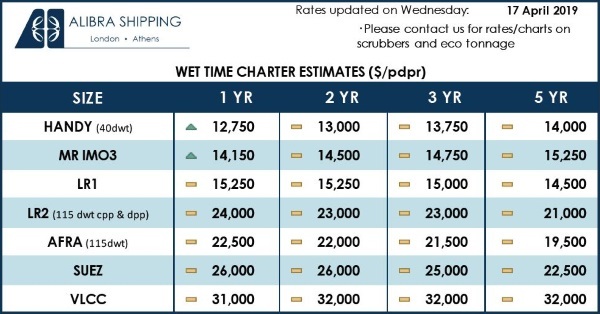 Let’s now turn to operating conditions in the marine transport market. 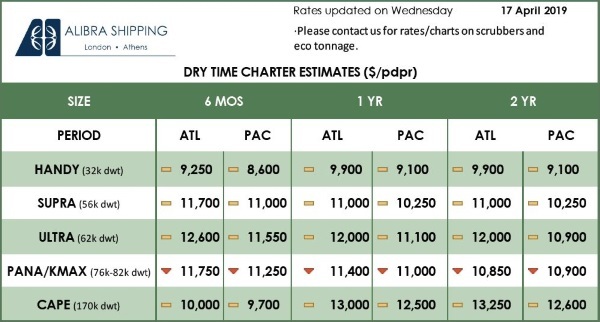 In 2018, dry bulkers delivered a steady performance, while tankers remained under pressure until they staged a sharp recovery midway through the year. Overall, the market environment presented a mixed picture, as did various sectors. However, I believe that every business sector in the MOL Group demonstrated their core strengths to the fullest. This would not have been possible without the tireless efforts of the MOL Group’s executives and employees day in and day out. I’d like to once again express my deepest appreciation for your dedication and hard work. As I noted earlier, 2019 is the last year of the Heisei period in the traditional Japanese calendar. Looking back, the Heisei period was a tumultuous period for the marine shipping industry. The Heisei period began in 1989. In the early Heisei years, the marine shipping industry faced a persistently challenging business environment even as Japan’s economy was buoyed by an asset bubble. In the 2000s, economic growth in China and burgeoning global trade flows led to surging market conditions in the marine shipping industry, setting the stage for a boom in marine transport. In 2007, MOL delivered ordinary profit of ¥300.0 billion. Thereafter, the boom subsided. MOL was buffeted by the rough and tumble currents of the global financial crisis and market volatility. In response, MOL was compelled at times to implement dramatic business structural reforms. Today, MOL must still navigate challenging conditions. In the past few years, we have overcome many periods of major upheaval in the business environment. Even in these tumultuous times, MOL has managed to achieve transformation and growth. 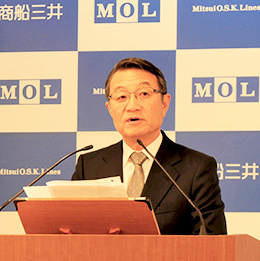 Over the past 30 years, the MOL Group’s shipping and other revenues increased from ¥480.0 billion in 1989, the start of the Heisei period, to ¥1,650.0 billion. Ocean Network Express (ONE), our integrated containership business venture with two other major Japanese shipping companies, started operations in April 2018. Unfortunately, the new business venture set sail in choppier waters than we had expected, as it did not reach its projected liftings due to disruptions in initial operations. However, the cost savings derived from integrating the containership operations have surpassed estimates before the integration. We also know exactly what must be done to improve cargo volume liftings and earnings. We will closely heed the lessons we have learned from ONE’s results to date as we fulfill our governance responsibilities as an investing company of this business venture. In the process, I will redouble my commitment to ONE and provide any support necessary to ensure the venture’s success. Under “Rolling Plan 2018,” we have put emphasis on taking various initiatives to a higher level in order to realize our vision for the MOL Group ten years from now. This vision rests on three pillars: (1) Provide “stress-free services,” (2) develop the environment and emission-free businesses into one of its future core operations, and (3) make the MOL Group a collection of businesses boasting the highest competitiveness in their respective fields. Another emphasis of “Rolling Plan 2018” has been on enhancing our cost competitiveness. In the offshore businesses, we have been working to expand the range of services we can provide. Notably, we started operation of the MOL FSRU Challenger (FSRU: Floating Storage and Regasification Unit) in Turkey, following the delivery in 2017. We have also entered business related to offshore wind power generation. In the Yamal LNG project in Russia, we began LNG transport using ice-breaking LNG carriers. In the logistics field, we have integrated our services under the unified brand of MOL Worldwide Logistics. In the chemical tanker business, MOL Chemical Tankers is taking ambitious initiatives to expand its business fields to areas such as tanker terminal operations. In other business segments, we also executed investments premised on our ability to generate highly stable profits. I’d now like to discuss our Group-wide priorities for strengthening the MOL Group, focusing on only the most important items. These priorities will be pivotal to realizing our ten-year vision for the MOL Group. In terms of marine technical skills, we opened a maritime academy in the Philippines as a center for training human resources who will help us to operate MOL vessels in years to come. In the area of ICT, we launched the “FOCUS” project to ensure smooth communication between ship and shore. In the technology development and environment and emission-free business, we took several steps to prepare for the trend toward the adoption of LNG-fueled vessels in the near future. Specifically, we successfully entered the new business sector of LNG bunkering vessels and launched an LNG-fueled tugboat. In the area of workstyle reforms, we made steady strides toward realizing our vision. We introduced personnel system reforms and RPA (Robotic Process Automation). Other initiatives included measures to enhance the competitiveness of personnel through workplace reforms and measures to streamline operations. The external environment has become increasingly uncertain in terms of the global political and economic picture, mainly due to strained U.S.-China relations and the possibility of a hard Brexit. One issue that will have a notable impact on the global shipping industry is the enforcement of new sulfur oxide (SOx) emissions regulations in January 2020. It is no exaggeration to say that the enforcement of these regulations will mark a major turning point that will have a crucial bearing on the success of the MOL Group as well as the marine transport industry as a whole. We have less than one year left to prepare. Operational concerns notwithstanding, we need to reexamine whether our preparations are adequate on the sales and marketing fronts, and identify any hidden risks. As professionals in the marine transport business, we will draw on the MOL Group’s full range of experience and knowledge to rise above these changes. 2019 is the third year of the “Rolling Plan.” It is a year when we will need to convert the accomplishments and initiatives of the past two years into actions closer to frontline worksites and operations and build upon those actions. Now is the time for us to clearly visualize what we mean by our key theme of “stress-free services” and translate that vision into action. But that alone will not be enough. In 2019, I would like us to focus intently on strengthening our profitability. This focus will be vital for the MOL Group to remain a strong enterprise capable of overcoming some degree of market turmoil and transforming itself into a more flexible and nimble corporate structure. Our focus on strengthening profitability will also help us to advance to our next stage of growth. We will also accelerate measures we have undertaken since the previous year to enhance our cost competitiveness. The goal here is also to raise our profitability further. Under these conditions, I’d like to continue to emphasize the goal of achieving the “highest competitiveness in each field” in the “Rolling Plan,” as I did in 2018. To achieve this goal, we will need to objectively analyze and grasp the sources of our competitiveness, meaning that we must understand where the MOL Group’s strengths lie. What is important to keep in mind in this analysis is to research our markets and competitors, compare them with the MOL Group, and clearly understand where we stand in this context. Without this analysis and insight, we could easily fall into the trap of self-centered complacency. The phrase “the highest competitiveness in each field” has been adopted because I want you to emphasize our relative superiority in each field. I’d like every member of the MOL Group to understand our strengths and weaknesses and give serious thought to how we can develop our strengths and overcome our weaknesses relative to our competitors. In the course of our activities so far, I have made decisions on investments in specific business projects based on this approach. I’d like to make this approach our standard for strategically allocating resources in our business portfolio. It is important to take a few moments to stand back and carefully think things through alone. It is also crucial to discuss these matters with team members to understand their thoughts. I strongly urge you to consider what our strengths are from many different angles, and think about our strengths in many different ways. Last year, the MOL Group made every effort for safety operation, keeping the Four Zeroes (zero fatal accidents, zero oil pollution, zero serious marine incidents, and zero cargo damage) in mind, its targets for operational safety. Meanwhile, we have been unable to completely eliminate accidents resulting in extended days of downtime. I’d like all of us to redouble our commitment to the following principle: Safe operation is the bedrock of MOL. Safe operation is a top priority that each and every employee-all of us-must practice without compromise. I will do my utmost to ensure safe operation, and I strongly urge all employees to do the same. Moving along, 2018 was a year that saw society pay closer attention to how companies approach quality problems. MOL was certainly no exception to this trend. Enforcing compliance is an absolutely essential requirement for MOL to become a sustainable enterprise. Even in the midst of a tumultuous business environment, I believe that the MOL Group has an unwavering mission. This mission also ties into the nature of the MOL Group’s fundamental purpose, which I discussed at the beginning of this message. I believe that our mission is to realize the vision laid out in the “Rolling Plan” and to hand this vision to future generations. I want all members of the MOL Group to know that they have a part to play in realizing this vision. Keeping this in mind, they must pass on our attitude towards our vision and related accomplishments to future generations. I’m confident that this awareness will gradually transform your daily duties. Completing the “Rolling Plan” and realizing our vision also means that the MOL Group will contribute to the sustainability of society through its businesses. I look forward to working tirelessly with all of you to realize our ambitions. In closing, I’d like to pledge my commitment to the safe voyages of all MOL Group-operated vessels. I’d like to wish you and your family members a very happy new year, as well as good health, happiness and success in 2019.